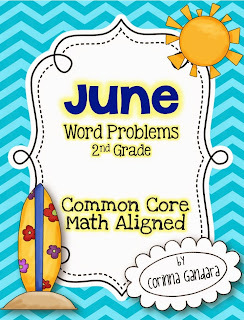 Ahhh, it's already Tuesday and I forgot to post my winners from my little giveaway for my June Word Problems!! Summer vacation is causing my brain to go on vacation as well!! I already emailed these ladies with this pack.